◎ The negative fallout of the Shanghai Fuxing Group incident could be immense. 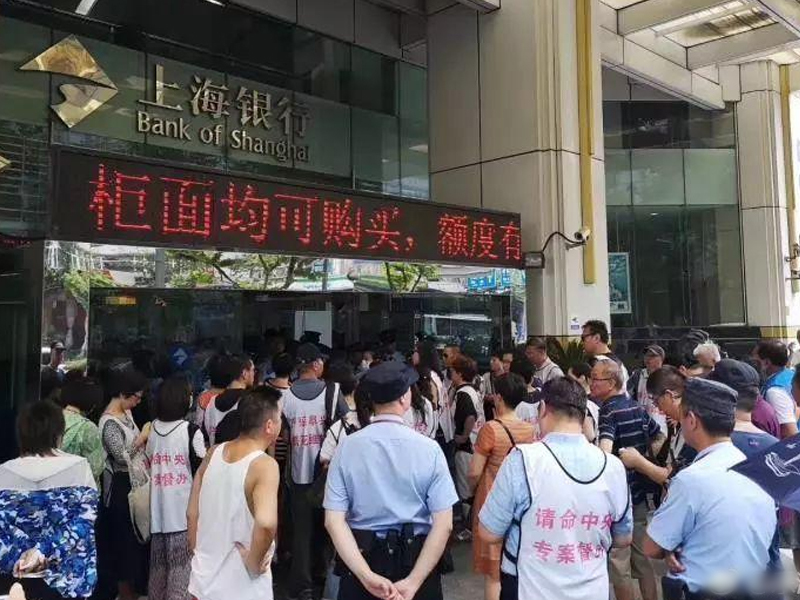 The vanishing of a hedge fund boss whose funds handled tens of billions of yuan and serviced thousands of clients caused a stir in Zhongnanhai, the Beijing headquarters of the Chinese Communist Party leadership, according to reports in mainland Chinese media on July 26. The reports note that Liu Shiyu, the chairman of China’s top securities regulator, had been tasked to form a working group to handle the runaway case. The working group consists of staff from the China Insurance Regulatory Commission (CSRC), the public security ministry, the Shanghai municipal government, and the Jiangsu provincial government. At the time of writing, the reports appear to have been censored. The negative fallout of the incident would be immense, and could inspire a “bank run” on other mainland hedge funds. 1. On June 29, Shanghai Fuxing Group issued a notice stating that the company had “lost contact” with Zhu Yidong, the company’s actual controller (a person with actual control over a company’s acts using agreements, investment relations, or other methods) and chairman. Fuxing Group controls four private asset management companies, namely, Shanghai Yilong Wealth Investment Management, Shanghai Xishang Investment Management, Shanghai Yutai Investment Management, and Yicai Fortune Asset Management. Before Zhu vanished, the four funds oversaw 159 private equity funds (many of which were suspected of engaging in fraudulent activities) handling total funds of about 27 billion yuan ($3.964 billion), according to media reports. The Fuxing website states that it managed over 35 billion yuan worth of total assets in 2017. News reports note that the investment threshold for the Fuxin funds is over 1 million yuan. Over 8,000 investors might be affected. 2. On July 13, the China Securities Investment Fund Association announced that the actual controller of the four Fuxing-controlled private equity funds had been “out of contact.” The Association noted that the four funds have since discontinued operations, a move that seriously disrupts the private equity fund industry and has significantly impacted the rights and interests of investors. 4. In January 2018, China Central Television (CCTV) broadcast a detailed report of a 2016 investigation by the CSRC into Zhu Yidong’s illegal manipulation of stock prices. 5. According to China Securities Investment Fund Association data, there were 21,005 registered private equity funds by the end of June 2018. Of the 21,005, 224 managed funds of over 10 billion yuan in total value. As of July 16, the Association had “lost contact” with the actual controllers of 161 funds. The first half of 2018 has seen several corporations and local governments default on debt. The stock markets have also plummeted, and the renminbi exchange rate broke the 6.8 yuan to the dollar mark. Meanwhile, the People’s Bank of China has released over 4 trillion yuan of M2 to boost liquidity. 1. The four private equity funds controlled by Fuxing Group, unlike the recently blown up peer-to-peer online lenders (P2P), are required to register their transactions and are regarded as credible financial institutions by investors. Further, investors in the funds are all wealthy individuals, given the 1 million yuan fund investment threshold. Many investors also believe that the Fuxing controlled funds are relatively safe because they are supervised by the government and have custodian banks. So if the 10 billion yuan-level funds blow up, the negative impact it would have is substantial. 2. Fuxing Group engages in the fraudulent business of selling asset management products and channeling the proceeds to support its subsidiaries and affiliated companies. That Fuxing resorts to fraud for financing hints at the troubles of securing financing in China as its economy worsens, as well as the difficulties in supervising the asset management industry on the mainland. 3. Investors would panic should 10 billion yuan-level funds blow up. The panic would have a runoff effect on other funds, and result in defaults. 4. The high net worth investors who bought into Fuxing Group funds would likely have a certain standing and influence in society. Their dissatisfaction with the situation and the authorities would pose a grave threat to the Chinese Communist Party.